If you are looking for the Best Carpet Cleaning Process in Birmingham AL, Heaven’s Best Carpet and Rug Cleaners offer a great method that will thoroughly clean your carpet and let you get back to your normal routine in no time. After spending years of intensive research, Stephen Mobley of Chelsea, AL decided on Heaven's Best Carpet Cleaning as the franchise he would purchase and run in the Birmingham metro area. Heaven’s Best stood out as one of the most effective ways to clean carpets without creating extra burden on the home owner or business owner. 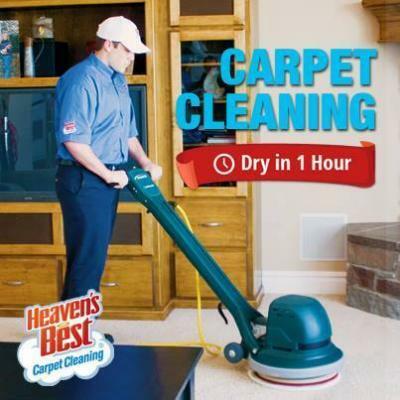 Steve says “what I like most about Heaven’s Best is the process really does clean carpets better than other methods.” It also “dries in just one hour and leaves no residue to re-attract the soil. After researching all the different methods of cleaning carpets, I found Heaven’s Best to be one of the best.” Heaven’s Best offers environmentally friendly and proprietary cleaning solutions that are safe for children (even babies) and pets. Their goal is to be as "green" as they can and still get the job done. All of this is extremely important to Stephen Mobley, owner of Heaven’s Best of Birmingham. We take pride in how well we clean and deodorize our customer’s carpets. If you're looking for a quality, affordable carpet cleaner that you can trust, call Heaven's Best of Birmingham. We work hard to be on time, clean your carpets thoroughly, and take care of you the way we would want to be treated. After we clean for you, we know you'll think of us as Heaven's Best. Heaven’s Best Carpet and Rug Cleaners offer the Best Carpet Cleaning Process in Birmingham AL. Call them today at (205) 618-9150.